You can access our online store using this link, log in by clicking the icon of the person in the top right hand side of the web page. All orders need to be placed by Thursday at 8 AM so that we will know what to harvest for your share! Please return your boxes because we re-use them! Last week after being completely booked, it is sinking in that we won’t be able to follow our production plan as closely as in years past, that’s because we’ll be prioritizing our guests over crops. Over the years, we’ve adapted our production plan to deal with climate change. That means we’re constantly trialing new cultivars that have traits for being heat tolerant tolerant, or can handle large amounts of precipitation that may fall periodically throughout the season. In addition to trialing new cultivars, we’re constantly modifying our production schedule so that we have a continuous harvest throughout the season. However, in prioritizing farm-stays, we aren’t as easily able to follow our plan. That means we may have gaps in the weekly shares for produce such as lettuce or beans. It is our hope that your weekly shares will continue to have the diversity as we’ve had over the years. For example, we are a bit late planting our most recent succession of lettuce, so we are anticipating a gap in that. Of coarse, then there is the groundhogs and crows who are also incredibly challenging to us, because they want their CSA share!!! So far this season, we’re considering our sweet potatoes a crop failure because the groundhogs have destroyed that crop. They’ve also destroyed a crop of beans and are working on the winter squash. That makes us especially thankful that we’ve diversified into offering farm-stays, because the groundhogs and crows can’t eat our accommodations!!! 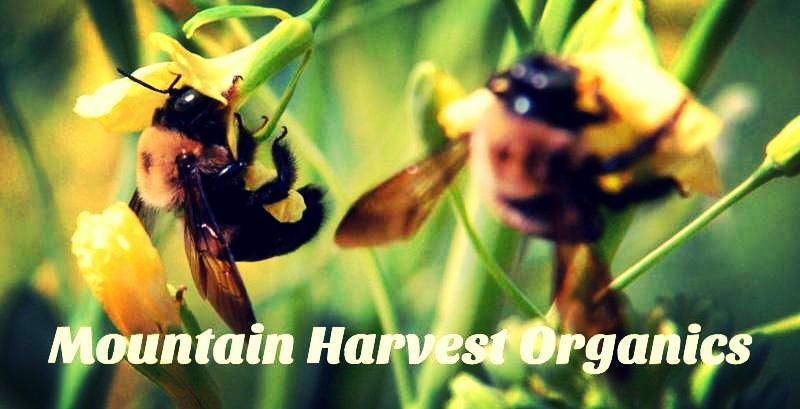 You will probably need to white list our email to receive correspondence from us because we have hanged our email from farmer@MountainHarvestOrganic.com to Farmer@MountainHarvestOrganics.com (our email is organics plural). The farmers’ have been pretty excited to be grilling eggplant for their meals! We offer two types, a globe Italian type that is thick, and an Asian type that is long and typically with thin skins. 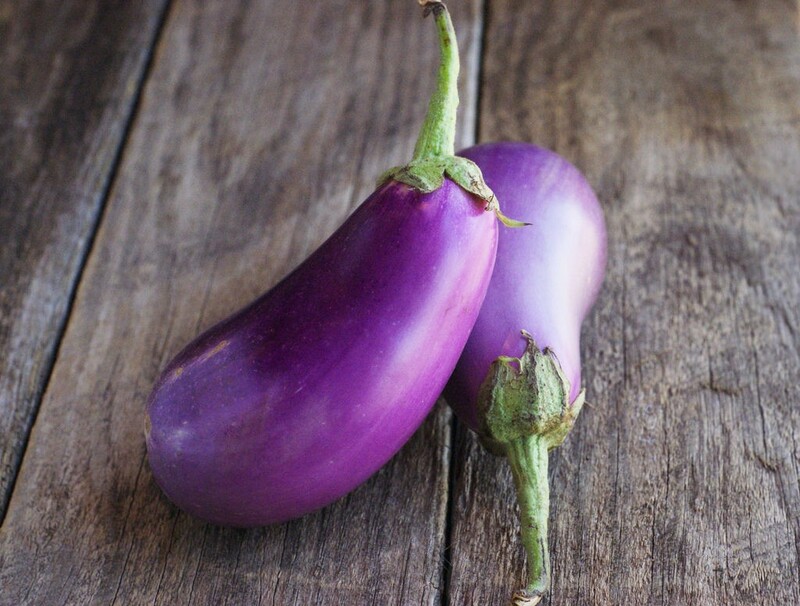 Eggplants are one of our summer delights; they are great grilled, a substitution for bread, roasted, used in stir-fries or curries. During the summer, we make baba ganoush about once per mouth, roasting our eggplants on the grill for the best flavored recipe ever! This eggplant in garlic sauce is sure to satisfy your eggplant craving! This Crock-Pot Ratatouille is delicious and a time saver that uses many summer staples. Eggplant is refreshing in a Greek Salad. You can get a little fancy with pastries in making a eggplant and tomato basil pie. This vegetarian (and vegan) recipe for Eggplant ProvenÃ§al is great as a main entre. Eggplant is perfect for this vegetarian Eggplant-Walnut Pate . The possibilities are endless for these wonderful vegetables. The peppers are slowly beginning to ripen from green to red/yellow! 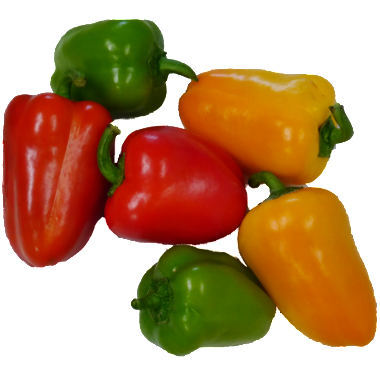 These adorable red, yellow and green baby bell sweet peppers are the first to ripen and are great for lunchbox snacks! They are excellent for horderves roasted then stuffed either this way or this way. Another option is to stuff them with goat cheese either this way or or this way. While they are easily sliced onto salads, we love simply slicing them and dipping them in baba ganoush or humus. Above is a bowl of salsa made with our paste tomatoes. 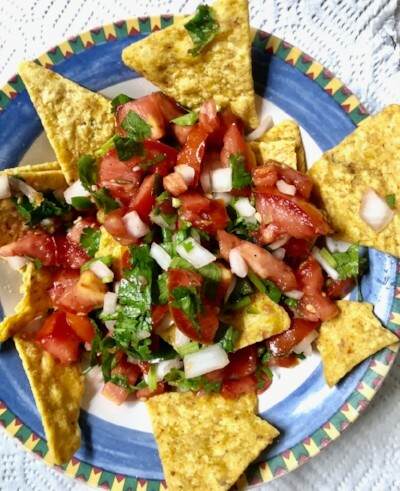 In our opinion, the paste tomatoes make the BEST SALSA ever!!! This week almost all of our meals have been either raw or grilled. While we simply love cooking outside on a grill with wood for the incredible flavor wood offers; however, in a pinch we LOVE the convenience of our propane grill. Simply slice all the veggies, baste with olive oil, garlic salt and pepper, and the yellow squash, eggplant and zucchini become a main meal. We’ve eaten gazpacho twice in one week, because it is tomato season, and this soup is so REFRESHING! Another great summer treat is chilled zucchini soup that is also especially refreshing. Then there is always a cold cucumber soup that we frequently make throughout the summer. We’re excited to be milking Ms. Sassy again! She is early in her lactation, so we aren’t yet skimming her milk for the wonderful fresh cream that many shareholders have enjoyed for butter and ice cream. However, our pets have been enjoying Greek Pet Yogurt that has an exceptional flavor because of Sassy’s grass fed diet. We are also offering Pet Milk. 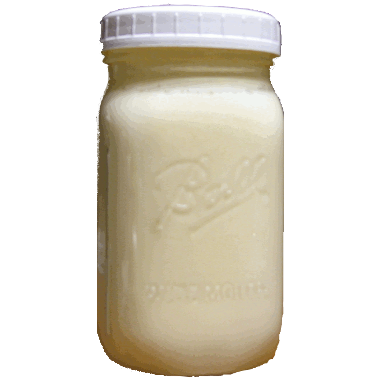 For those who are purchasing either yogurt or milk, we ask that you return our jars so that we can re-use them. Lettuce: Tropicana Green Leaf becuase it holds it’s flavor in the summer without becoming biter! We are pretty much grilling all of our meals right now and this lettuce is perfectly suited for wraps containing grilled squash and eggplant. Tomatoes: Cherry and Slicing. The cherry tomatoes are bite sized have a spectacular flavor. The slicing tomatoes are perfect for sandwiches, burgers, or for eating sliced with a little salt! Cucumber: These slicing cucumbers are great on salads, sandwiches and just eating plain! Baby Bell Peppers: Great sliced or stuffed then roasted on the grill! Mix of Patty Pan and Zephyr Squash: The Patty Pan s is a summer squash, also known as scalloped, and is a soft skinned very versatile vegetable. The Zephyr is like a straightneck or crookneck and has a nice nutty flavor. Zucchini: Zucchini is a very versatile vegetable and always included in our weekly meals while they are in season. Basil: This Thai Basil is perfect for grilled sqaush. We love to use this in spring rolls! 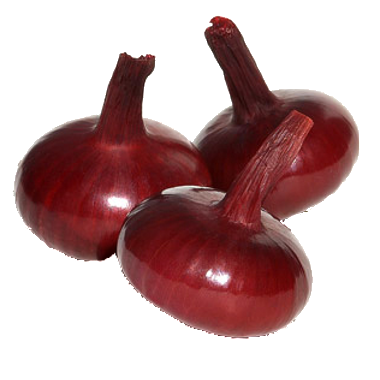 Onions: Red and Yellow Cipollini Onions that are especially great grilled! These heirlooms are a delicacy, and aren’t cured so enjoy them over the next several weeks while they are freshly harvested. Paste Tomatoes: These are great for a fresh tomato sauce, Salad Caprese, or salsa! Eggplant: is a very versatile vegetable and always included in our weekly meals while they are in season. Bratwurst Sausage: This will be great on the grill along with summer squash! So far… By far the best part of offering farm-stays is teaching guests about the importance of our small organic farms. 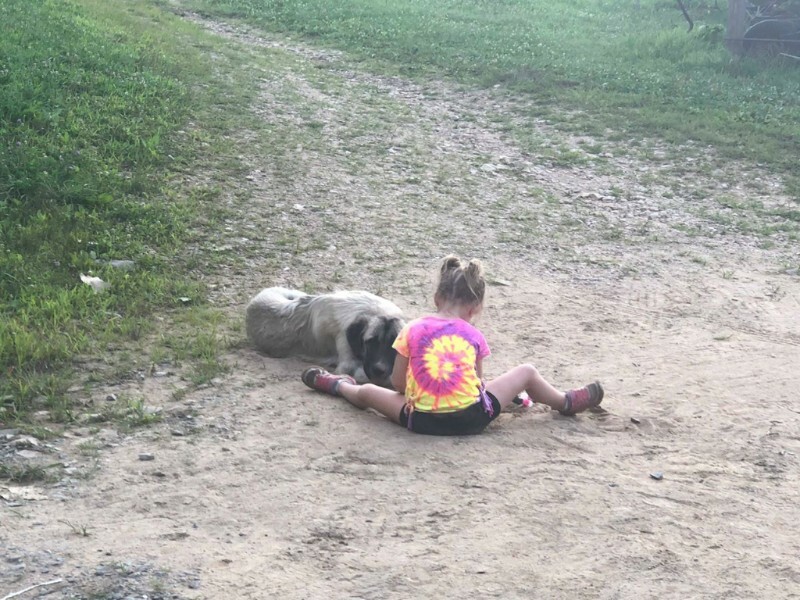 (All photographs are contributed by of Danielle Barter. Thanks Danielle!!! 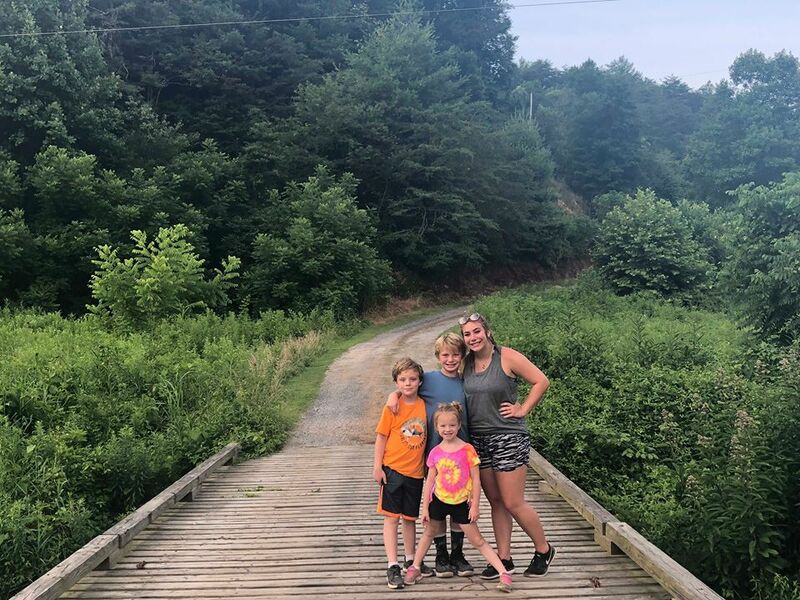 Just a week after her stay with us, Danielle and her children were back visiting our area for a hike to Max Patch when we received a text from her about having her children tour the farm. So even though it was a busy harvest day and we were packing out CSA Shares, we said YES!!! Carl had the pleasure of being the tour guide while Julie washed and packed veggies. We love the educational aspect of our new venture into agri-tourism. 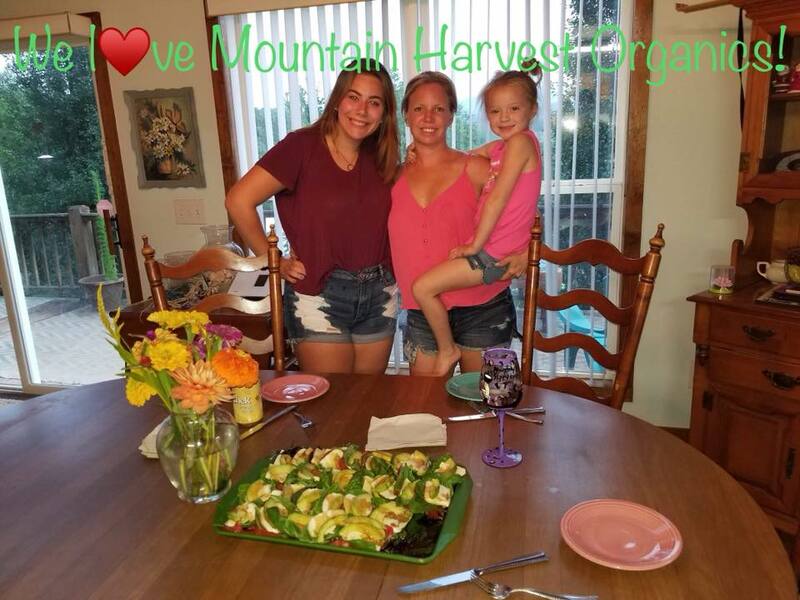 We love how creative Danielle and her husband were with the food that they purchased from the farm. Above is a basil and avocodo salad. 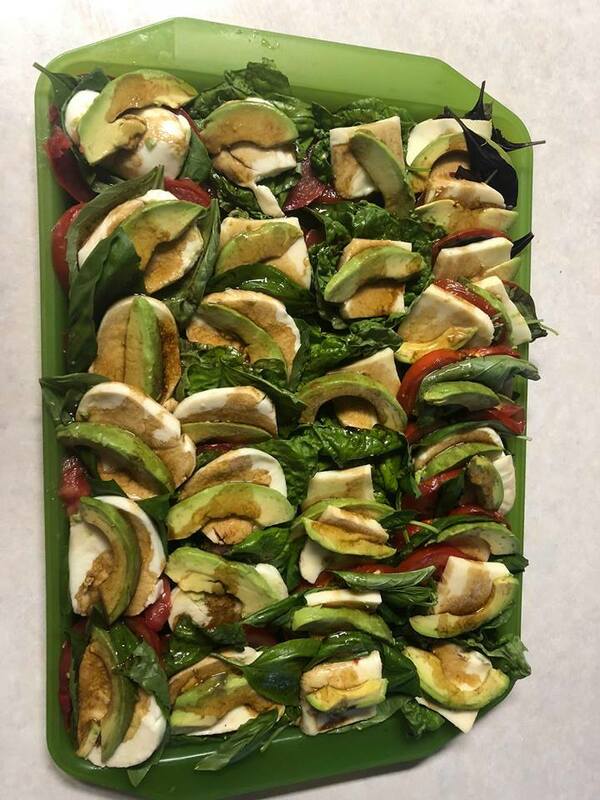 The large tuscany italian basil is perfect for use as wraps and we love how this avocodo ads flavor to this salad! During her stay, she and her husband enjoyed a romatic time at the Glamping site with farm fresh goodies along with groceries that they brought along. She even brought some romantic candles along, which is a perfect idea for MHO to think about providing other guests!!! THANKS DANIELLE. 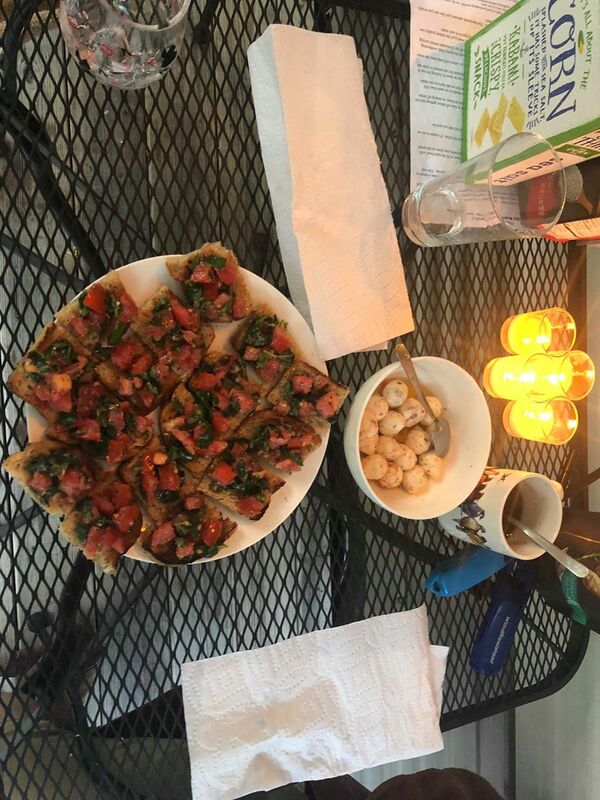 Above is bruschetta that we hope you find the time to make this season. She even was creative with the farm fresh goodies we provided, making Insalata Caprese. We stock the glamper with Olive Oil and Balsamic vinegar for the convenience of our guests. That way they aren’t required to bring everything along for making a meal. Just look at the not so little Argus with Danielle’s youngest? He looks so sweet and we are thankful that so far he is excellent with people. Above is Danielle and her beautiful family. Once again, we are inspired by the younger generation who will one day be taking over the leadership of our country. 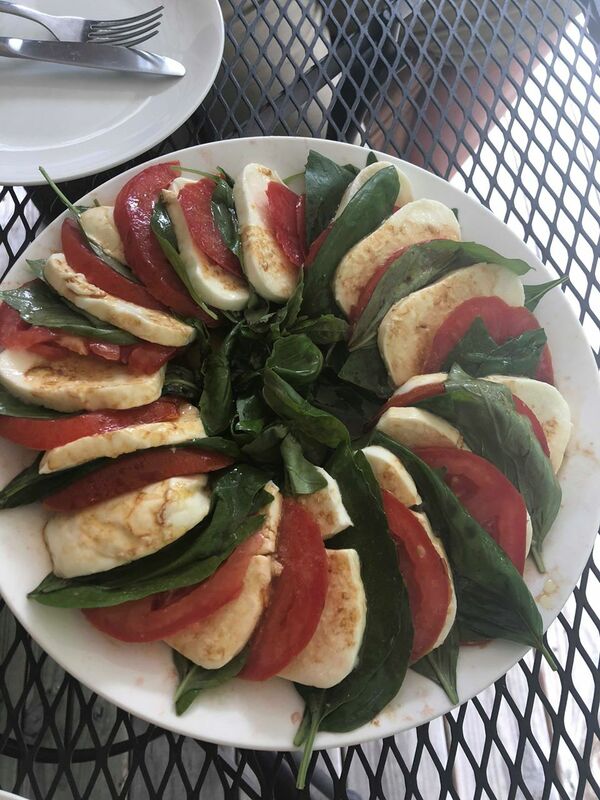 Who knows… Maybe one day Insalata Caprese will become a standard food served to our elementary children across the country!! !